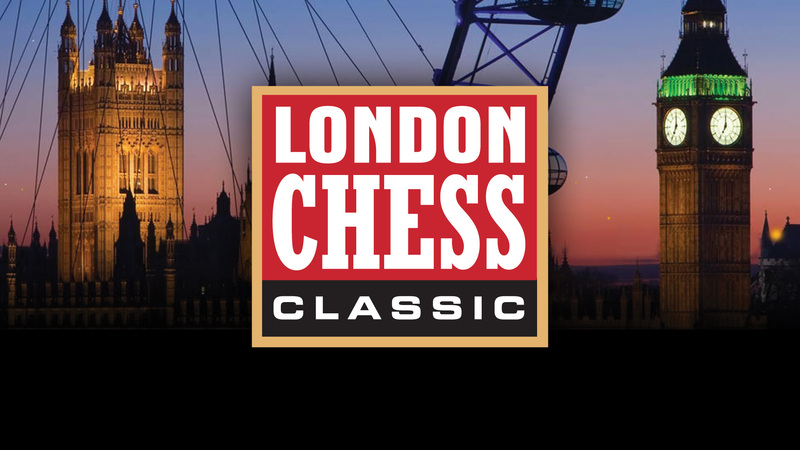 Round eight of the London Chess Classic started slowly with three early draws but then took a dramatic turn of events that changed the nature of the tournament. 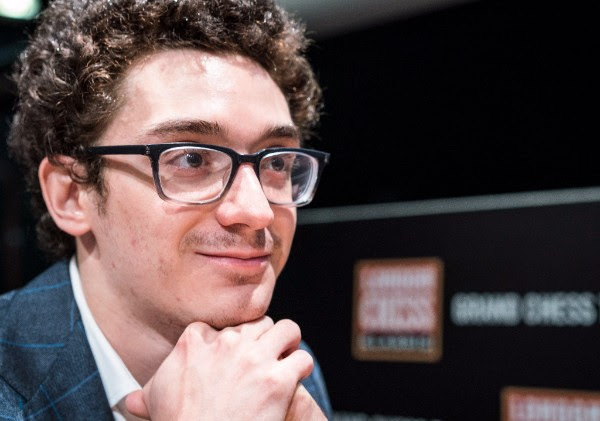 Tournament co-leader Fabiano Caruana felt comfortable with his draw believing that a plus two score is needed to at least tie for first. 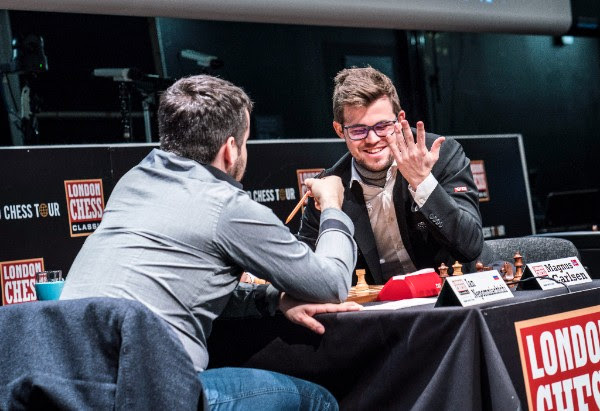 Maxime Vachier-Lagrave, who needs to score three more tour points than Carlsen, was not thrilled with his draw with the white pieces but still kept his chances open for taking the overall tour title. The standings were rattled when Magnus Carlsen shockingly blundered a piece then a pawn against Ian Nepomniachtchi who is now in clear first place. 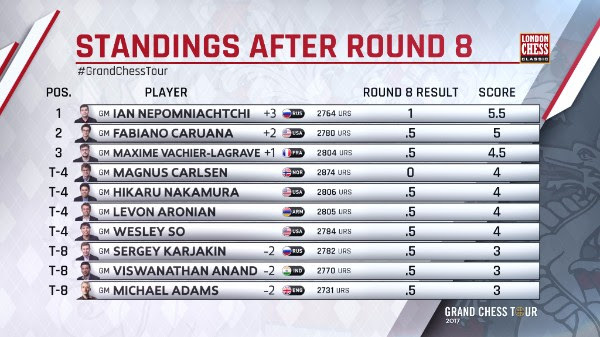 This result also gives Vachier-Lagrave excellent chances to score the necessary points to win the entire tour and even tie for first in London. The chips fell perfectly as tomorrowNepomniatchi and Vachier-Lagrave are facing off to decide everything. Just as yesterday, Carlsen chose unorthodox opening moves which transposed into an exchange Slav. The game took a normal turn with White trying to build an attack in an isolated queen pawn position. Carlsen hasn’t been playing his best this entire tournament as it became evident when he missed a tactic which would have given him the advantage. After Nepomniachtchi reached equality, Carlsen blundered a pawn in a simple tactic. He seemed flustered by his oversight and tried to win the material back, but instead blundered a whole piece and resigned two moves later. Caruana accepted Nakamura to play a more aggressive opening but instead a long theoretical line of the Nimzo Indian defense was played. The resulting position was a dull endgame but slightly worse for Black. Caruana thought that perhaps his compatriot wanted to surprise him. Fortunately for him, Caruana was well prepared and had looked at this line before the tournament. Once the bishops came off, there was nothing to play for in the equal rook endgame. The Frenchman opted for the Guioco Piano, which has become the fashionable opening at the top level. He made the unusual decision of exchanging his light square bishop for a knight for what he thought would be a strong initiative for him. 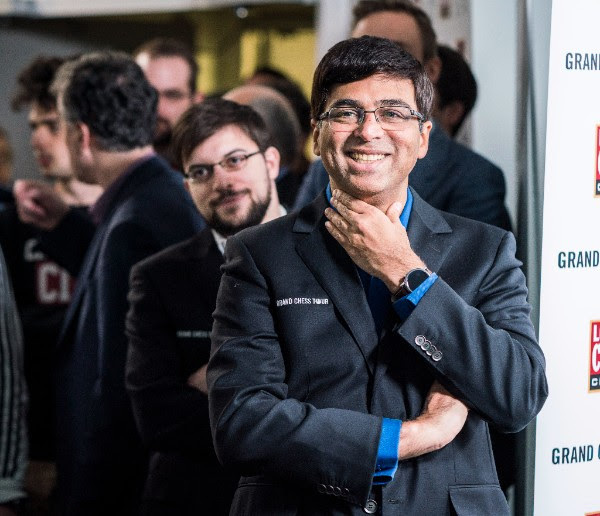 Unfortunately, in his ten-move variation he missed that Anand can force him to either repeat the position or retreat with the rook and accept a worse position. The game ended in a draw when he chose the former option. 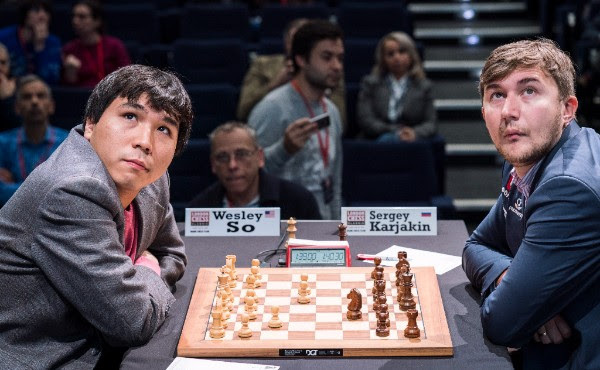 The five-hour game did not produce the result needed for Wesley So, who could have been tied for second place with Caruana had he won this game. The American had a slight edge out of the opening but missed a dynamic possibility on move 23, which would have posed some real problems for his opponent. Optically, White had the advantage due to his strong knight in the endgame, but it was hard to create anything substantial with it. The 56-move battle ended when only a bishop and a pawn were left on the board. After two long battles and back to back losses, Adams just wanted to get back on the scoreboard and stop the bleeding. He chose the Re1 line in the Berlin leading to a symmetrical position. 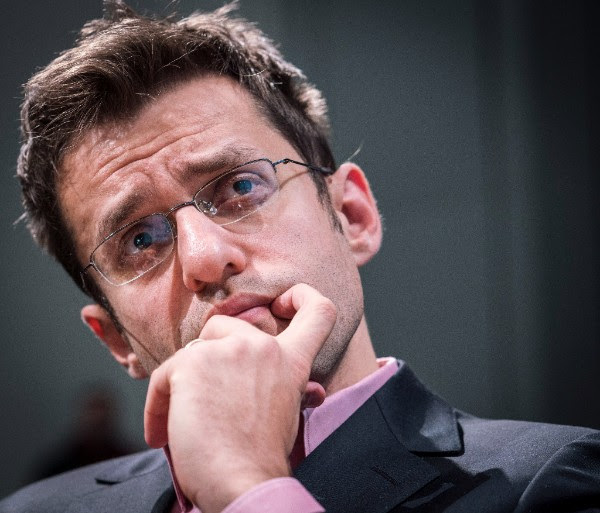 Aronian usually plays his favorite Marshall Attack line in the Ruy Lopez, but he felt that it could be just as dry as the Berlin. Neither player was able to put any pressure on their opponent and a draw was agreed by a threefold repetition.